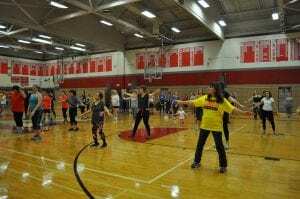 More than 70 students and community members raised $858 for Penguin Plunge on November 1 at the Tappan Zee High School Blauvelt Lions Leo Club’s 9th Annual Zumba for Charity event led by instructor Judith Miranda in the TZHS gym. This year’s Plunge is benefiting nine-year-old Kieran O’Neill of Pearl River and two-and-a-half year-old Riley Reynolds of West Nyack, who attended the event with her mom. 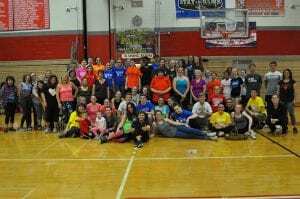 Thanks to all who supported this very special ​event!